Have you heard of MIP? Don’t worry, I hadn’t either. But if you want to work in TV, you should know what it is. MIP (Marché International de Programmes) has two conferences every year – MIPTV (de Télévision) in April and MIPCOM (de Communication) in October. These are two of the markets where TV DEALS ARE MADE. 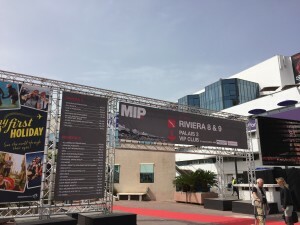 The MIP markets happen in Cannes, France. Yes, the same place as the famous film festival you’ve heard of. But the MIP markets focus more on business than they do show, and attract buyers, sellers, producers, networks, distributors, and all sorts of vendors that make the content creation possible. Yes, there are other markets for TV (NATPE, RealScreen, etc. ), but the MIP Markets are the biggest. I just returned from my first MIP experience, and wanted to share why the markets are important, what to expect from them, and if you should attend. Whenever I tell someone that I work in the entertainment industry, they are fascinated. Aside from loving entertainment, I think many people want to understand how to make a living in the industry. Where does the money come from? Who pays? And HOW DO I GET PAID?! The important takeaway here is that the markets are valuable because they show what content is getting made and sold. Let’s say you have a TV show you’ve made and want to sell it. Maybe a month or two before the market, you should start to line up meetings with people at the market. There is a great website interface MIP provides to do some research and figure out who is a buyer for your product. People will reach out to you as well once you’re registered to set meetings. If you’ve shot 100 hours of models walking down runways, there are specific companies you want to meet with that buy that sort of content. Same with reality, action, scripted, etc. 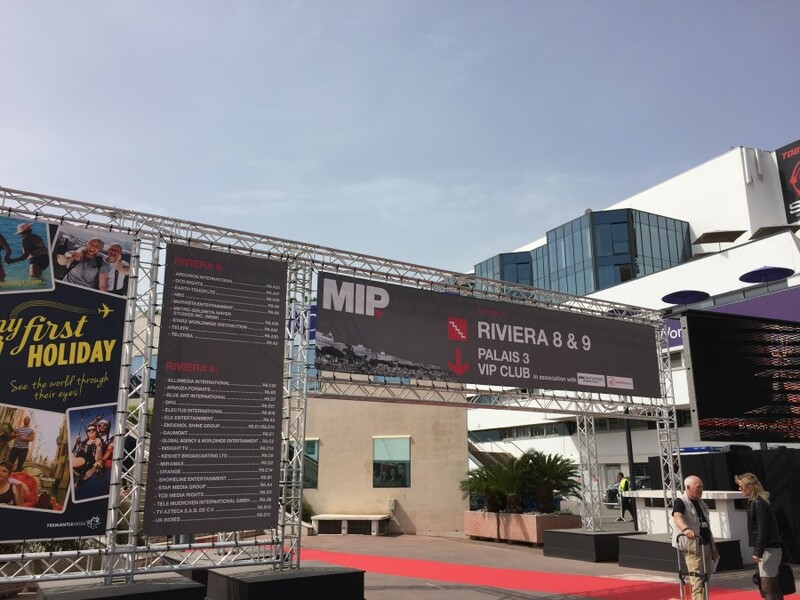 Arrive in MIP a day or two early to settle in, recover from jet lag, and orient yourself with the market and where the meetings are held. MIP also offers some welcoming and first-timer events to help you get acclimated. Meetings happen throughout the day. Pack in as much as you can, because people are in a “meeting” mood. There may be some people you’ve tried to get a meeting with for months but weren’t able to. 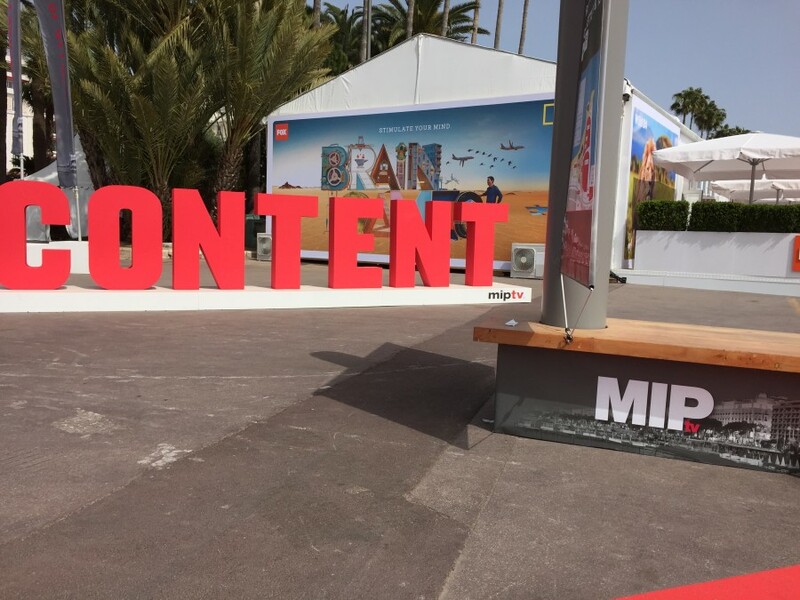 But at MIP, the point is to fill up your calendar and meet with everyone. Plus, don’t underestimate the value of shaking someone’s hand and getting to put a name with a face. After you’ve done a full day of meetings, your work isn’t done! Now is when people go out to dinner, then drinks and socializing. This is arguably one of the more important parts of the market because you get to know people from more than just work. During the day, people are in their “work” mode. But at night, people are just being people. You might be having a beer with the head of a network and not even know it. First off, MIP is not cheap. It’s in Cannes, France, so expect traveling. You may stay for just under a week, so you’ll need accommodations. I used AirBnB which is one of my favs. But everything costs more during this time because so many people are coming into town. More demand? More pricey. The badge for the conference itself can be under $1,000 USD if you book early enough, or upwards of $1700 if you wait. I know some people that go without buying the badge, but realize you won’t be able to access A LOT of the market. If you only setup one or two meetings, then perhaps you could schedule them outside the market, but the purpose is to get in and meet people. Finally, food and drink can cost a lot too. Some of your meetings might be over meals. And remember that after-hours socializing I mentioned? Buying a drink for someone you hope to do business with is a pro move. I’m not going to give a final figure on how much it will cost because your mileage may vary. However, it’s going to be a few thousand dollars, not a few hundred. Actors: Probably not. No one is casting at this market and these aren’t the people casting. Not to say you won’t meet some cool people and great networking, but there are probably better areas to focus on. Writers: Hmm. Only a fraction of the content is scripted. Some good networking but there are other ways to spend your money. Directors: Same as above. Good networking, but you most likely won’t be able to get hired for a job here. However, if you’ve director and shot several hours worth of content, you might be able to sell it here. Producers: Yes, but… You need to know what to make in order to get it sold. If you’ve never produced anything or don’t have any content to sell, then I would recommend playing some AAA baseball before the Major League.